VRT is continuing to make significant advances in the development of its WideSky IoT data management platform. Field trials are currently underway in the Floth head office in Brisbane for the new WideSky Niagara module based on the NHaystack open source software. This plugin provides a plug and play connection for Niagara based devices (Tridium, EasyIO, Vykon) to securely push data to the WideSky platform. 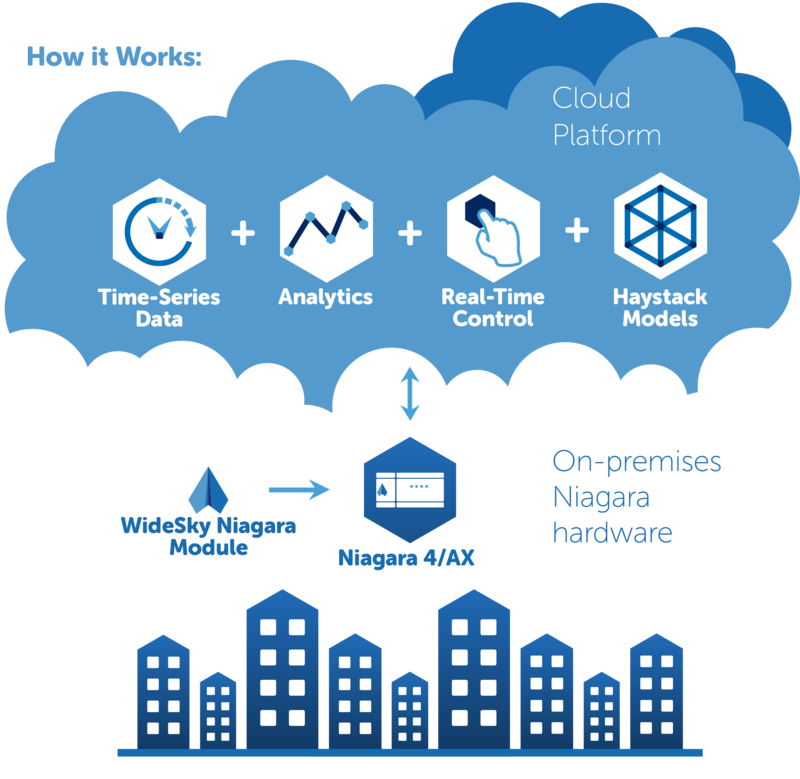 Now Niagara Systems Intergrators can easily connect in minutes to leverage a "born in the cloud" IoT platform with no developers required. All of this can be achieved while preserving the Haystack model at all layers from the Niagara device to the WideSky dashboard and WideSky Analytics. Next week we'll publish a link to a new demo section of the WideSky website that will demonstrate the simplicity of connection and the power of running advanced queries and analytics on the Haystack semantic model. VRT CEO, John Meehan, is attending the Niagara Summit in New Orleans on the 16th & 17th April as part of ongoing market research and to assess WideSky's position in the global market. He will also be seeking suitable SIs or marketing organisations to partner with VRT Systems in advance of the release of the PaaS version of WideSky in Q3, 2018. The WideSky platform will take a Niagara SI straight to the cloud for all application data, without the need for software developers or data wranglers. This will also enable Niagara SIs to compete much more effectively with their tier 1 competitors. The Ellis Air DSP will integrate BIM, asset management, predictive maintenance, operations management, tenant billing and payments, and AI based analytics operating on actual building and equipment data, in real time. This platform will underpin Ellis Air's strategic move to an ".... as a Service" provider. Ellis Air has chosen VRT's WideSky platform to provide for the real time and time series data aspects of this integrated platform. VRT's WideSky M2P (Meter to Payments) product will also underpin the billing and payments functions. VRT will be sharing the Ellis Air stand at the Total Facilities Conference in Melbourne on the 18th & 19th April. Ian Pearse from Ellis Air, along with Bill Marlow and John Gugel from VRT Systems, will be on hand to provide fuller explanations of the power and benefits to be derived from this industry leading initiative. They will also be able to demonstrate the ease of integration with Niagara based BMSs and the power of Haystack model based analytics, by connecting live to the Floth and VRT buildings.